Dark Horse's new Serenity comic miniseries will finally take us past the tragic—and heroic—events of the film. So what can we expect for our slightly smaller group of Big Damn Heroes? 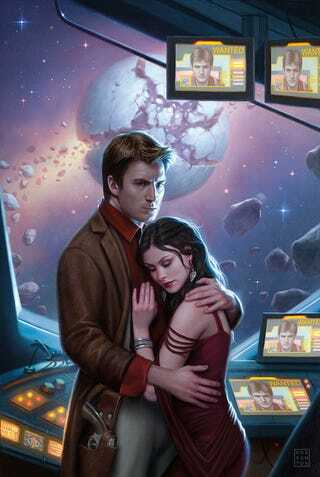 Whedon also says that once he's wrapped Leaves on the Wind, he's ready to pass the Serenity writer's stick on to another writer, and put a new voice behind the Firefly crew.